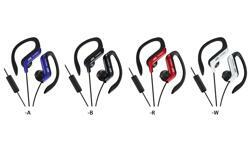 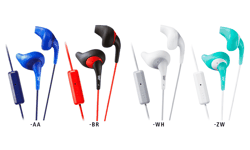 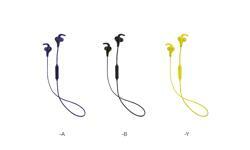 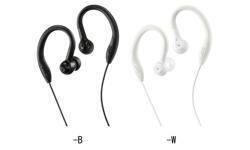 HA-EN10BT Sports GUMY Wireless headphones • JVC U.K. 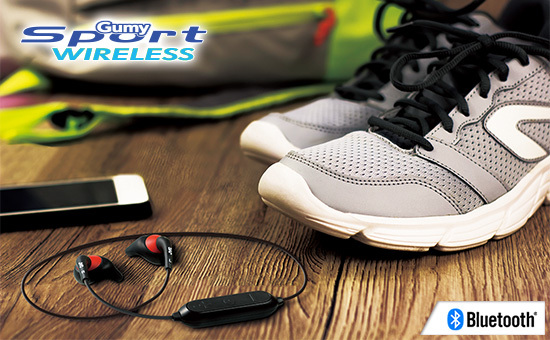 Featuring upto 5 hours of wireless operation and Bluetooth technology the HA-EN10BT GUMY sports headphones can be your ideal running partner. 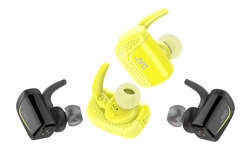 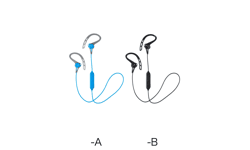 The unique 'Nozzle Fit' earpieces are designed to stay inside your ear no matter how tough your workout is. 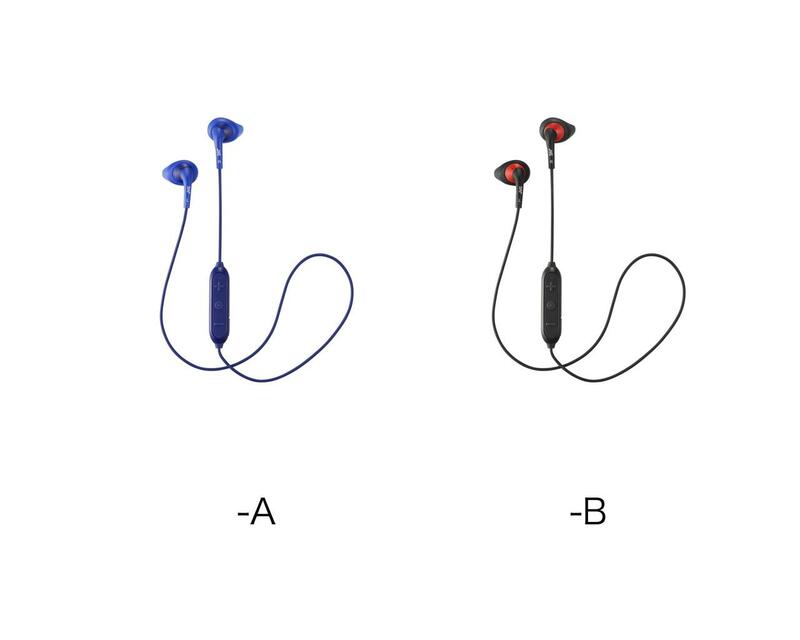 If you need to answer a call when working out then it couldn't be easier with the 3 button remote and mic. 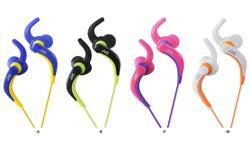 Break out in a sweat as much as you like with these headphones as they are both sweat & splash proof (IPX2). 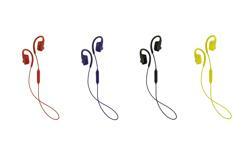 Available in a colour choice of black or blue with small and medium earpices included for a secure and comfortable fit. 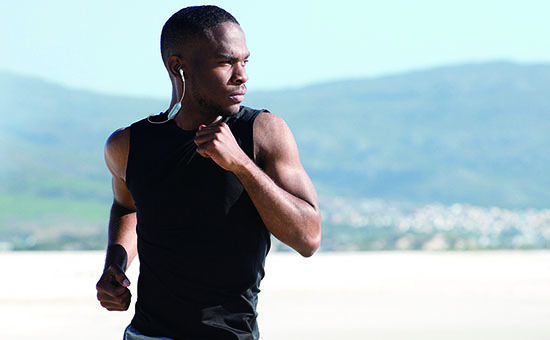 the ultimate fit when training. 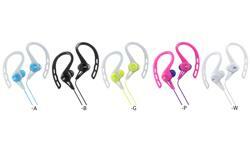 With Bluetooth Technology there are no wires therefore no distraction. 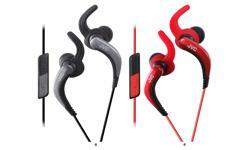 Simply pair them with your device and focus on your training. 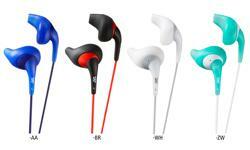 with 5 hours of continuous music for a perfect workout session. 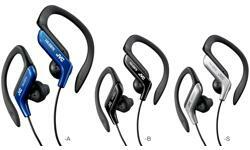 and send voice commands to your iPhone, Android or Blackberry phone. 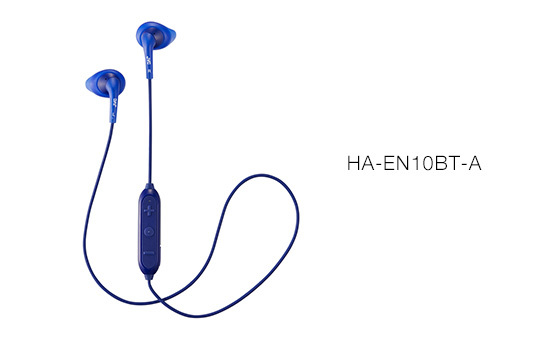 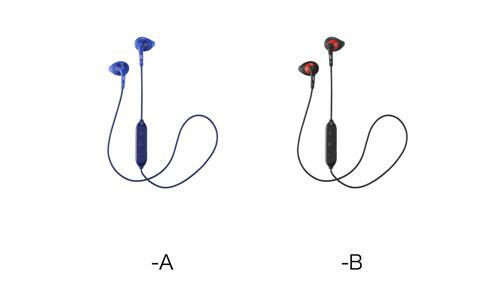 The HA-EN10BT has 4 colours variations.